I know most of my blog readers are women :) And women love wedding-related blog posts so I promised I'd share pictures from my friend Nona's wedding receptions. In Malaysia it's common for the bride and groom to hold two wedding receptions - one by the bride's family and another by the groom's family. In Nona and Mateen's case they had three wedding receptions. I only attended the ones in Kuala Lumpur but I heard the reception in Sarawak was very beautiful too. This particular post is about Nona's reception. 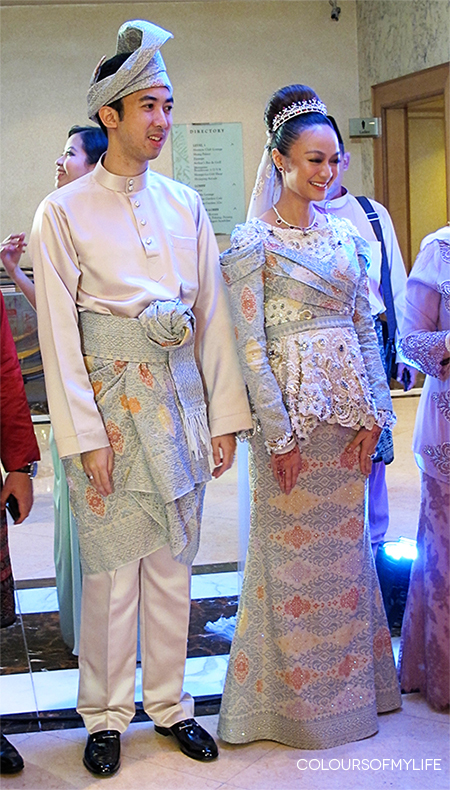 I would say it was a traditional Malay wedding especially in comparison to the one by Mateen's family and you'll have to wait to find out what its theme was! 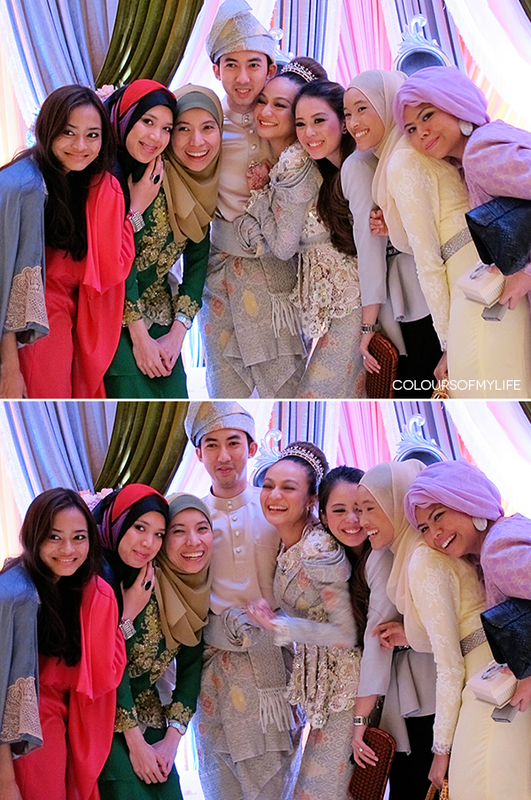 For now have a look at what I captured from Nona's elegant traditional wedding reception. 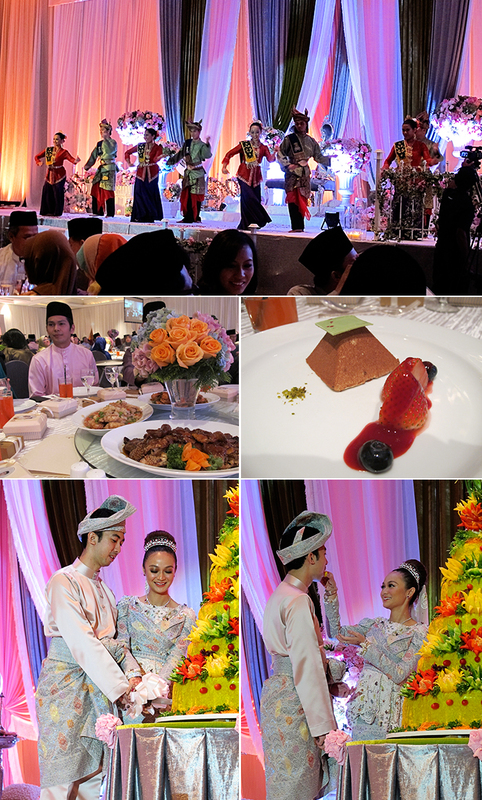 (from top to bottom) Traditional dance performance for the king and queen of the day; yummy wedding food; another Malay tradition - a glutinous rice cake cutting ceremony. A moment with the happy couple. I've known Ireena, whom everyone calls Nona, ever since we were 13 years old. She was my best friend in high school but after I left for New Zealand we kind of drifted apart. We still kept in touch though. When Nona told me she was getting married to Mateen I was really happy for her even though we weren't as close as we were during high school. It was like being happy for a sister; someone I grew up with and had gone through ups and downs with. 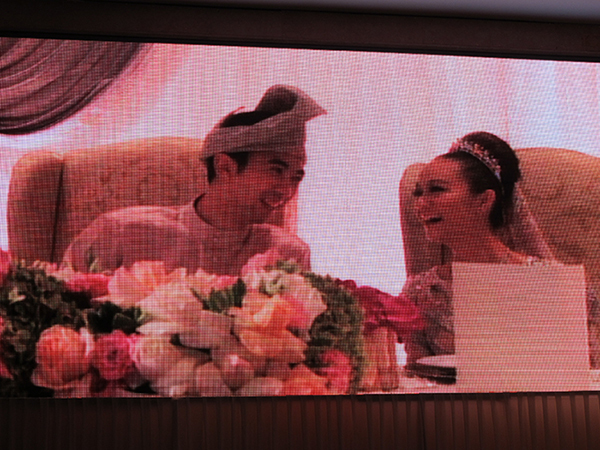 And to be honest, in all the years I've known Nona I've never her seen as happy as she was when she married Mateen. She was glowing inside out from the day of her bridal party onward. 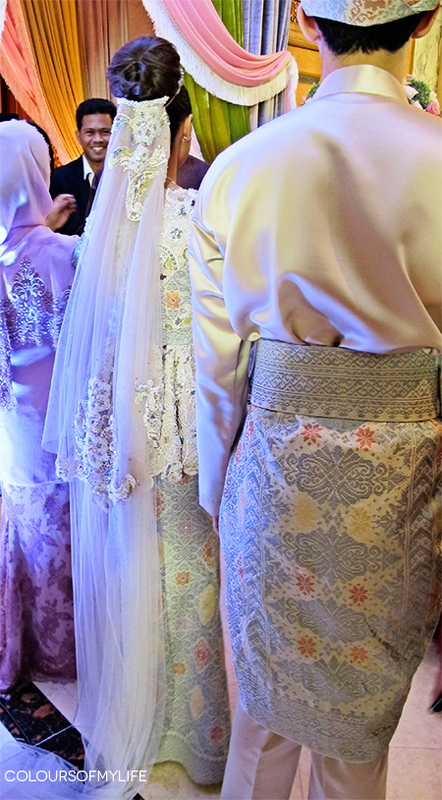 Loved their traditional songket ensembles in demure pastel shades with a hint of lace. It's all like a fairy-tale :)! the wedding reception it's so so beautiful! and their clothes too. May Allah grant them a great life together!